This course offers a professional qualification for those who wish to qualify as a professional make-up artist. It covers all aspect of make-up artistry, including fashion, theatre, TV, film and special effects make-up. 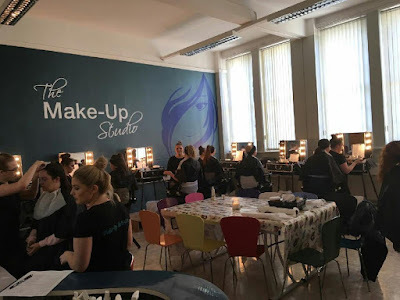 It combines the technical skills and artistic elements required of a make-up artist with a focus on fashion co-ordination, hair styles and special effects. This course covers the skills required to perform effective make-up techniques suitable for various professional media, theatre and stage productions. As part of this course, students create make-up looks for fashion shows, magazine shoots and theatrical performances and in the process develop a comprehensive portfolio featuring a range of different looks. Employment opportunities exist in a variety of industries including theatre, film, television and on a range of media productions including editorials and high fashion (catwalk). Graduates of this course can expect to find employment with international cosmetic companies, as cosmetic consultants/make-up artists and cosmetic counter managers. Students must purchase a kit for this course and will be advised of same upon commencement of the course.